We’re continuing the study of the Divided Kingdom in our local congregation in our auditorium class, using the text of 1 Kings. We have found this period to be one of not only the history of the kings but also there is much emphasis on prophetic activity. This is particularly true of the prophets Elijah and Elisha (the latter in 2 Kings). During the reign of Ahab (Israel), God told Elijah, “Also you shall anoint Jehu the son of Nimshi as king over Israel. And Elisha the son of Shaphat of Abel Meholah you shall anoint as prophet in your place” (1 Kgs. 19:16). 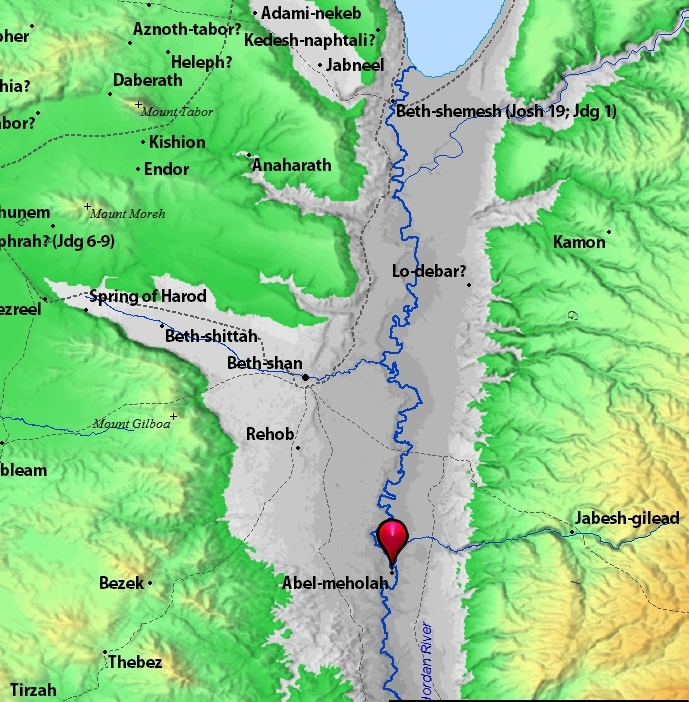 Abel-Meholah is located in the Jordan Valley in Israel. Though I saw Abel-meholah earlier this month, I’m sharing a photo I took in December 2009. 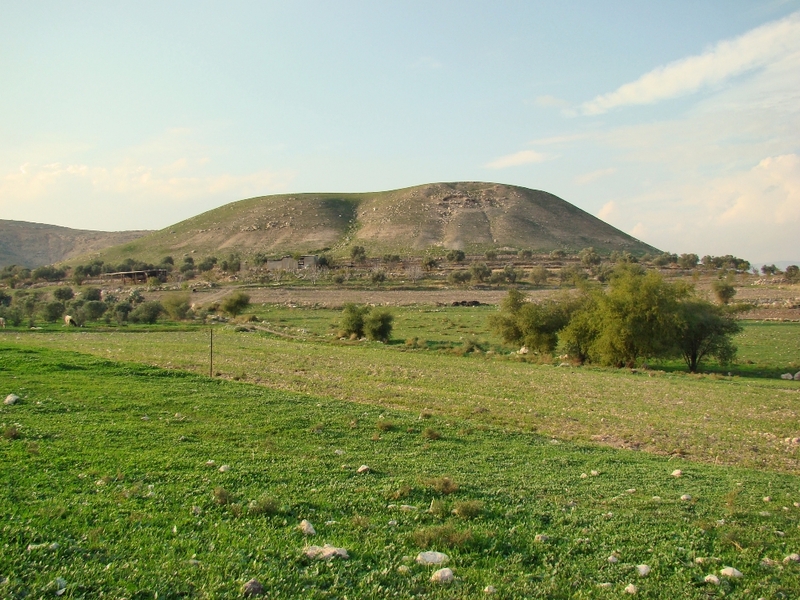 Abel-meholah in the Jordan Valley, proposed site of Elisha’s home. Photo by Leon Mauldin. 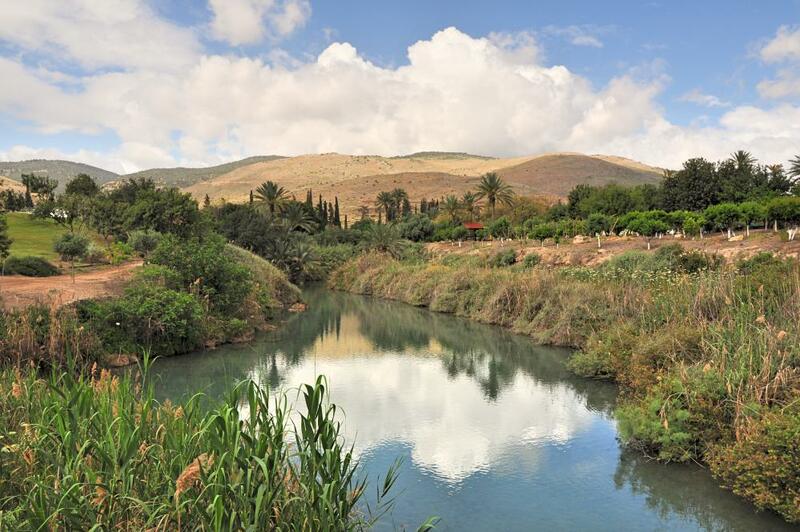 Such maps and photos provide the setting for the text of 1 Kings 19:16. The March 28 – April 8, 2016 Israel tour directed by Ferrell Jenkins was advertised as his “50th Anniversary Tour,” thus completing 50 years of Distinctive World Tours, designed and led by Mr. Jenkins. What a remarkable, incredible milestone! 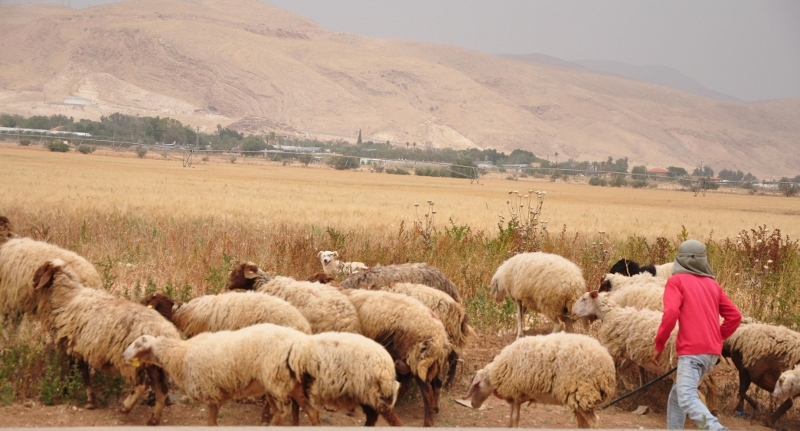 These tours, custom-designed with Christians in mind, have literally gone around the world, but the emphasis has been on travel to the lands where the biblical events transpired. That of course includes Israel, but also Turkey, Greece, Italy, Egypt and more; literally from Ararat (where Noah’s ark landed; book of Genesis) to Patmos (where John received the Revelation). All who have traveled with Mr. Jenkins have profited, but it is especially the Bible class teachers (men & women), preachers and elders who have made the greatest use of resources, photos and knowledge gained. In that way also the folks “back home” that do not travel have benefited as well. 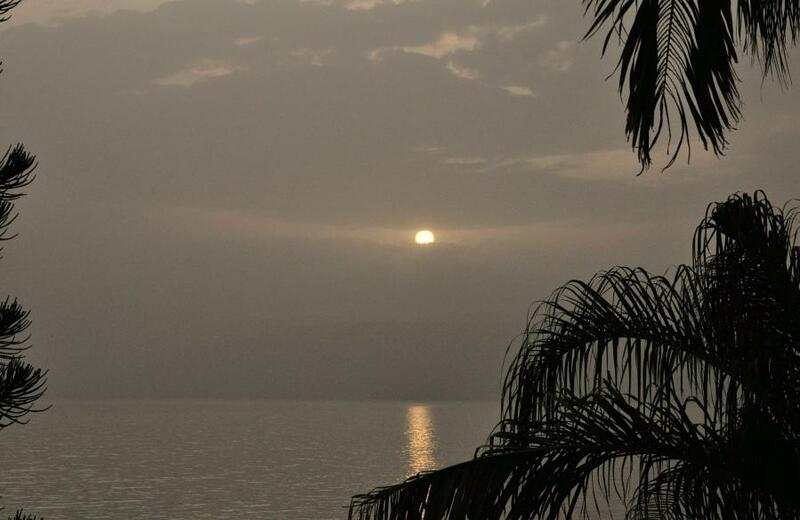 His blog, Ferrell’s Travel Blog was started in 2007, to feature not only photos of Bible places but also helpful info, biblical texts and other resources/links. Since then his blog has received more than two million visits. (You will also find biblicalstudies.info to be a very helpful site). Mr. Jenkins wrote, “I have been preaching and teaching the Word of God since 1952, and I have always loved it. Nothing gives me a greater thrill than teaching at the sites where biblical events occurred. Thanks for the memories. It is my conviction that an understanding of the Bible lands can enhance one’s Bible study and improve understanding of the text. This, in turn, must be converted to action in obedience to the will of the Lord, and in service to Him” (Biblical Insights, Dec. 2009, p.28). 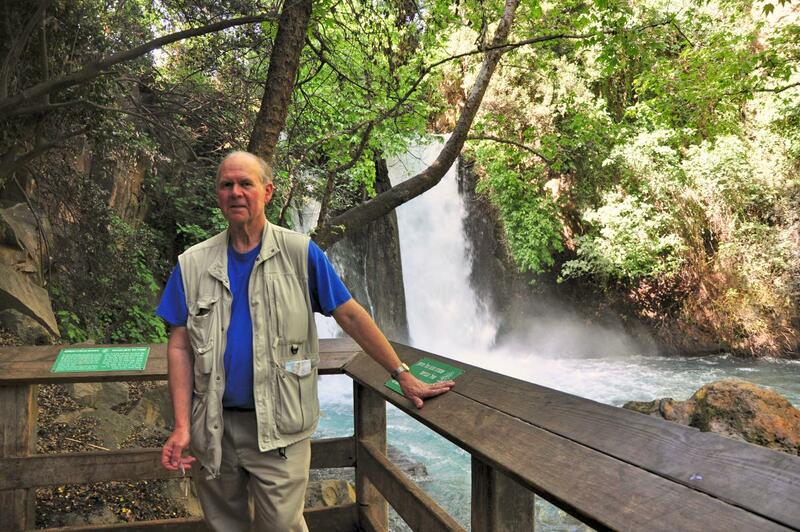 Ferrell Jenkins outside Bible Lands Museum, Jerusalem (Apr. 14, 2016). Photo by Leon Mauldin. On my part I wanted to say Thanks! for a job well done, for such an outstanding contribution to the field of biblical studies. It is amazing to look back at those last 50 years and think of the good that has been accomplished. Though retired, Mr. Jenkins continues to study several hours daily, and writes and does some teaching as time permits. He has devoted his life to helping people, especially young people, better understand and be equipped to teach the Bible. All of his work has been done with the loving support of Mrs. Elizabeth Jenkins. On a personal note, I was able to join this 50th tour on the evening before its final day. Then after the tour group left for home, Mr. Jenkins & I rented a car, and for the next several days visited sites all over Israel, using Tiberius and Jerusalem as our “base,” especially focusing on places we had not seen before. We were also able to do some aerial photography from Joppa to the south as far as Beersheba and east to Jerusalem. I have enjoyed and profited from several personal study trips he & I have made of this nature. So to my fellow Gospel preacher, former professor, and traveling friend, please accept this small token of my lasting gratitude, and of the high esteem in which you are held, furnished by the occasion of this extraordinary milestone! To God be the glory! 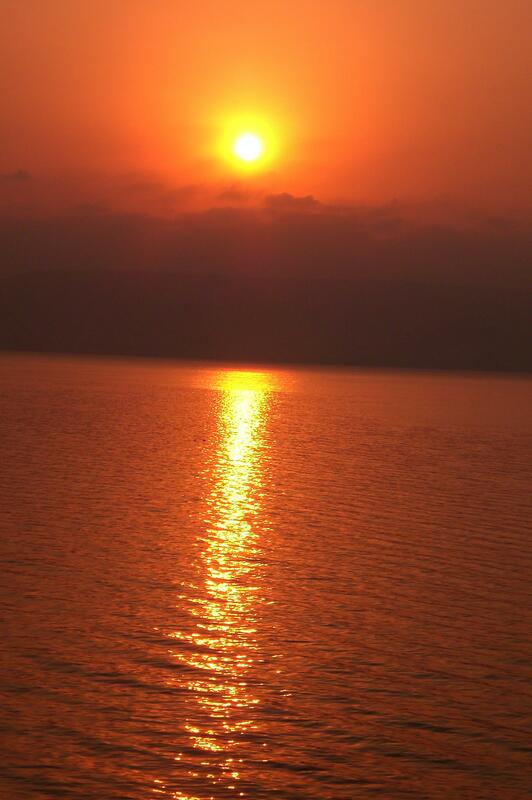 Today’s travels took us from the Sea of Galilee down the Jordan Valley to the Dead Sea area, then west on back to Jerusalem. Along the way we made some interesting stops, including while still in the north, Gan Hashlosha, in the vicinity of Beth-shan. Beth-shan was the city where the bodies of King Saul and three of his sons were fastened after their deaths (1 Sam. 31). Amal Stream, the spring water that emerges in the western part of the park maintains a constant, year-round temperature of 28 degrees Celsius. Beautiful Gan Hashlosha, Israel. Photo by Leon Mauldin. 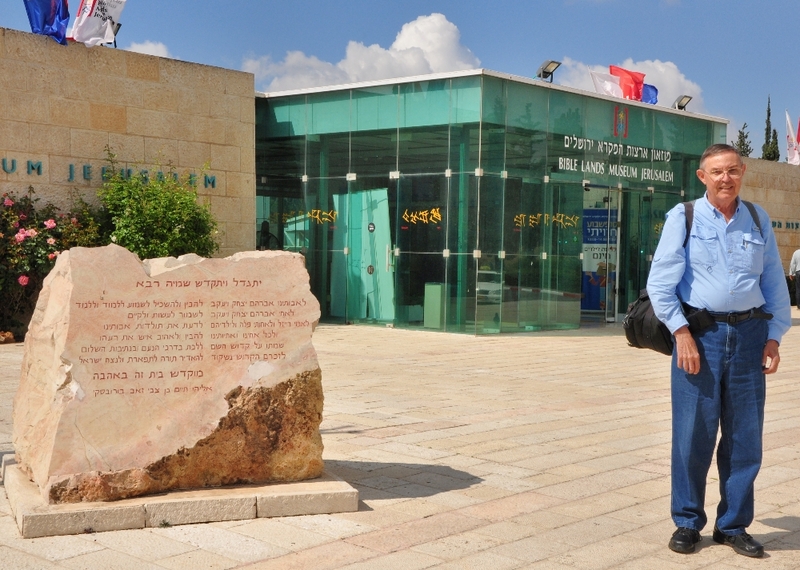 Our real interest in stopping here was the Museum of Regional & Mediterranean Archaeology, which has some unique artifacts from the Beth-shan area, as well as rare finds from the Mediterranean region. 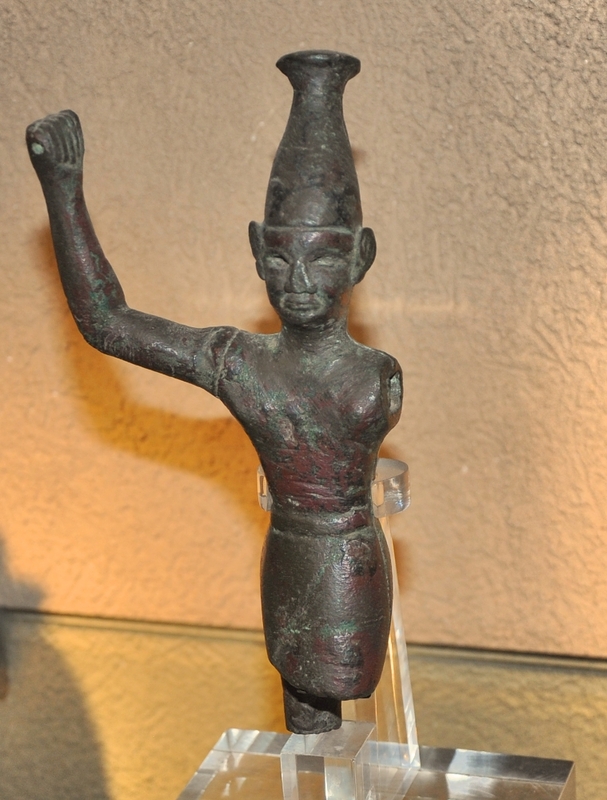 The displays feature Canaanite, Israelite, Grecian, Etruscan, Persian and Egyptian collections. We also drove along the top of Mt. Gilboa, where we had some good views of the Plain of Jezreel, where so many biblical events occurred. You are currently browsing the Leon's Message Board blog archives for April, 2016.